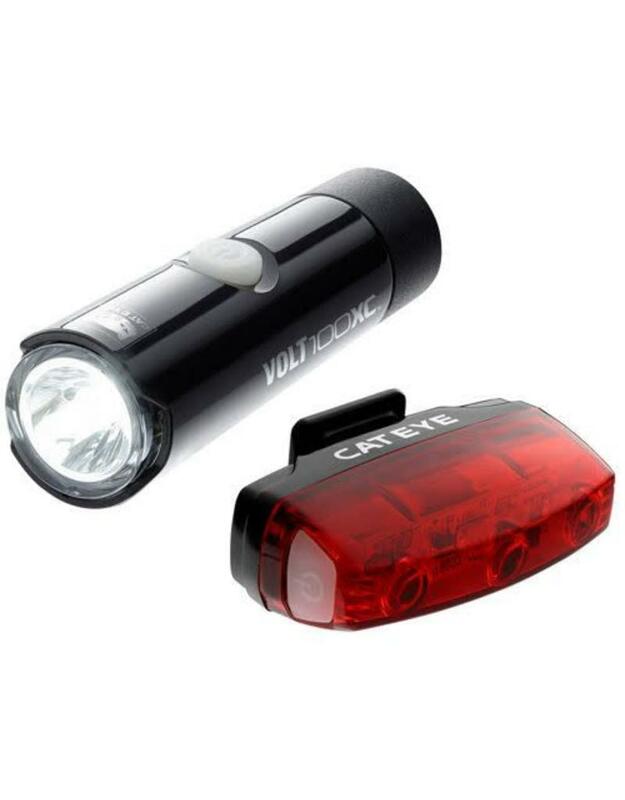 The Cateye Volt 100 XC and Rapid micro Set is an ideal lighting duo if you are starting to commute to work via your bicycle. Being visible to other road users and pedestrians is vital when you are cycling on the roads, especially through busy towns and cities. This light set gives you a lighting footprint that vehicles and people around you will be aware of. Both with Constant and flash settings this set is an eye catcher. 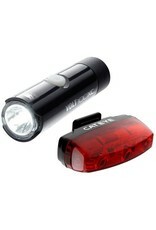 The Volt 100XC front light produces 100 lumens and the Rapid Micro Rear light produces 15 lumens of bright red light. Both lights are rechargeable which make them ideal commuting partners. To Charge the lights simply plug the Micro USB into the light and the other end to a computer, laptop or a USB wall plug. The front light will last 5 hours on a 100 lumen flash setting and for 1 hour constant. The Rapid Micro Rear light will last from 3 - 30 hours, all depending on which modes you have or were using.